A light-weight dynamic elbow splint made from advanced composite. 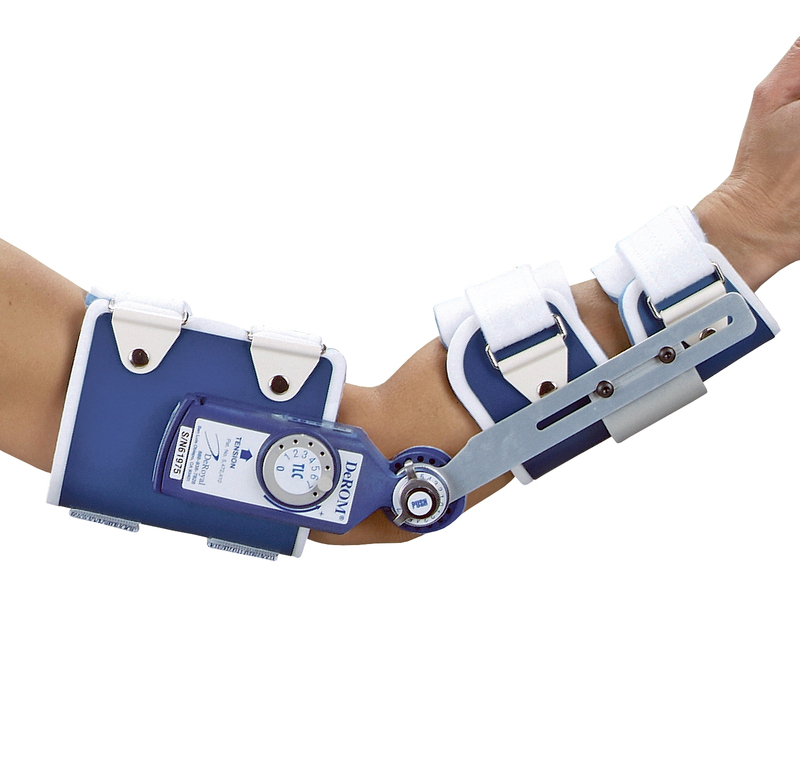 The design features combines both flexion and extension assist in the same brace. The splint can be used to restore range of motion in a stiff joint with range of motion limitations due to contractures. The cuffs are malleable and can be adjusted individually to the patient. The straps are adjustable and can easily be trimmed. All these features make application easy. The tension can be set by the adjustment tool that is also the integrated tension release lever. The tension system can be set either for flexion or extension depending on the wire setting. The fast tension release allows a quick release. There are also range of motion stops that can be set if the patient is only allowed controlled range of motion.